The 64th Annual Session of the NATO Parliamentary Assembly met in in Halifax from November 16-19, 2018. Twenty-eight of the twenty-nine NATO countries were represented. Slovenia was not represented because there had not been time since the recent election to appoint delegates to the Assembly. This meant that an important report of the Sub-Committee on Technology Trends and Security on the use of cyber space by extremist and terrorists, which was prepared by Matej Tonin of Slovenia was presented by the Vice-Chair of the Committee, Bruno Vittorino of Portugal. For the same reason, Sweden was not represented among the Partner countries. The remaining 11 countries were represented. It is possible that by the next Spring Assembly to be held in Bratislava, Slovakia, in late May 2019, Macedonia, one of the Partner countries, may become a member country. The long-term dispute with Greece over its name, is in the process of being resolved. An agreement has been signed to allow Macedonia to use the name North Macedonia. The Macedonian government is in the process of amending the constitution to incorporate the points agreed on with Greece. Once that is done, the Greek government must ratify the agreement, and then NATO will extend a membership offer to North Macedonia which could happen in early 2019 according to NATO Deputy Secretary General, Rose Gottemoeller. The European Parliament was also represented, as were the Mediterranean Dialogue countries, Algeria and Morocco, and there were observer parliamentarians from Kossovo, Japan, Kazahkstan, The Palestinian National Council, South Korea, Afghanistan, Iraq, and Qatar, as well as the Parliamentary Assembly of the Mediterranean. A predominant feeling was a sense of instability and urgency for NATO and its member countries to take action on several issues. For once, uncertainty was not attributed to Donald Trump. In fact, there were several mentions of appreciation for his continued support of NATO as evidenced by the increase in funding of NATO and European defence. Instead, the major factors of instability identified were Russian aggression and capability gaps. There was real concern over Russia’s violation of the Intermediate range Nuclear Forces Treaty (INF), and its acts of aggression in Ukraine. While the US has adhered closely to the INF, and has not acquired new missiles, Russia has built a class of missiles that would enable it to reach anywhere in Europe. For years, Russia had denied that activity, but has now finally admitted it. Discussion of the capability gap was generally intertwined with the concern about Russian aggression both in terms of conventional and hybrid warfare. During the discussions, it was suggested that Russia might act exactly as it did a few days later on November 25, with the seizure of Ukrainian ships, claiming provocation to justify aggression. The Assembly included a rather prophetic statement in a resolution proposed by the Committee on the Civil Dimension of Security, “condemning the illegal construction of the Kerch Bridge by Russia, combined with its policy of selective access denial and arbitrary detaining of Ukrainian and foreign vessels in the Azov Sea”. To develop an early warning system to detect a possible incursion into the strategically vital Suwalki Corridor, develop infrastructure for quick deployment and sustainment of troops and the necessary manpower to defend the essential territorial link with the Baltic States. To devote the necessary resources to overwhelm and degrade Russia’s A2/AD systems, through such means as the acquisition of advanced fighter jets, jamming systems, and longer-range precision missile systems. 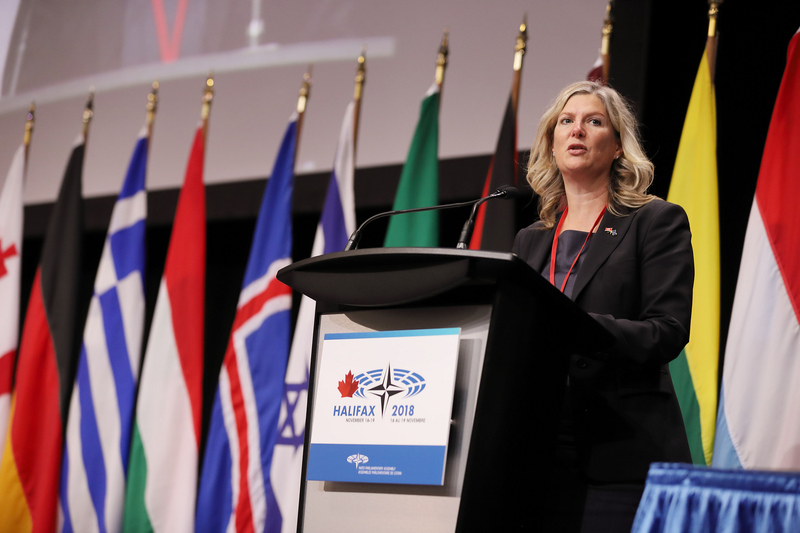 There was a particular sense of urgency in the discussion of the report Maintaining NATO’s Science and Technology Edge and Enhancing Alliance Agility presented by Canada’s Leona Alleslev in the Science and Technology Committee. 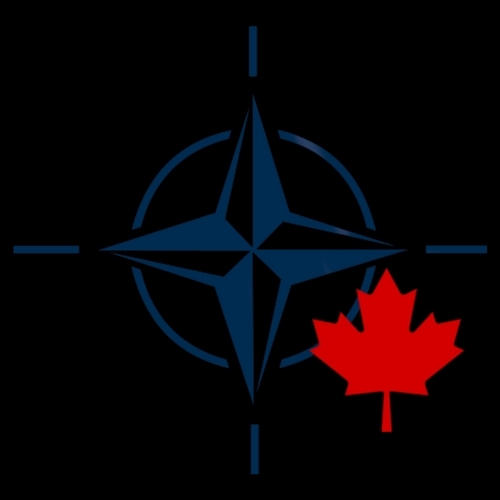 While no one wanted to come right out and say so, there was an undercurrent in the discussion that it was almost too late for NATO and its member countries to stay ahead of the game. Other countries are developing cutting edge equipment and weapons, and sub-national groups are constantly refining small-scale cyber and other weapons. One of the committee’s resolutions urged the nations to redouble the effort to reach the 2% of GDP spending goal by 2024 and allocate funds to research and development. The Science and Technology Committee also heard a most interesting presentation by Tadej Nared, Chair of the Board of the Slovenian Certified Ethical Hackers Foundation on Larger Threats from Extremists and Terrorists in Cyber Space. My first thought was that “ethical hackers” is rather a contradiction in terms, but the speaker convinced me that there is a role for such experts. He showed us how easy it is for hackers to get all the information they need to execute devastating attacks on industrial control systems, financial institutions, and even advanced weapon systems, at very little cost. They can break into satellite communication systems to identify military movements, and other sensitive information. For example, they can use the websites of gasoline stations to get back to the refineries that supply the gas to the stations and hack into their control systems. According to him, Iran has the largest cyber army in the world. It learned from the Stuxnet experience how to fix problems and retaliate. DAESH also has hacking skills, and the Western world makes it much too easy for them by not paying enough attention to cyber security. Hackers even penetrated the Pentagon in 30 minutes. 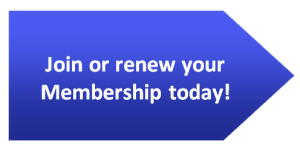 His organization will probe the cyber security of companies and organizations on request and help them secure their systems. He suggested that NATO should establish a reporting policy so that ethical hackers like himself will have an address they can report their findings to without being accused of criminal activity. The highlight of the Plenary Session was the address by Deputy Secretary General Rose Gottemoeller. She referenced a number of the issues already addressed in the committee meetings, and emphasized particularly the insecurity caused by Russian activities. She was heartened by the unity and resolve of the NATO members as experienced particularly in the most recent exercise Trident Juncture hosted by Norway. She noted, however, that this largest exercise ever organized by NATO was also a “wake-up call” for the NATO members that had no experience with cold weather warfare. This Assembly was more focused and more relevant to issues of concern than some of the meetings I have attended in the past. I was not convinced that the parliamentarians had a clear vision of how to deal with the urgent issues, especially the Russian problem, but at least they are considering the problems which is more than some of the individual member governments are doing, and I hope the delegates will be able to exert some influence on their national governments.